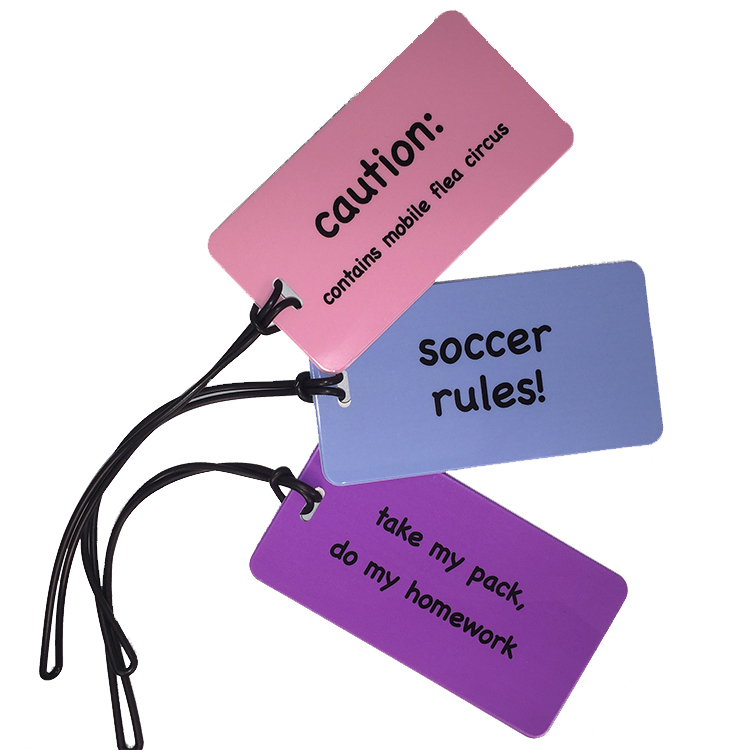 determination- Children's Inspirational Luggage Tag. Perfect for backpacks, sports bags and luggage. Includes removable ID information card on tag back, a standard business card will also fit in window. Vinyl attachment loop is included.